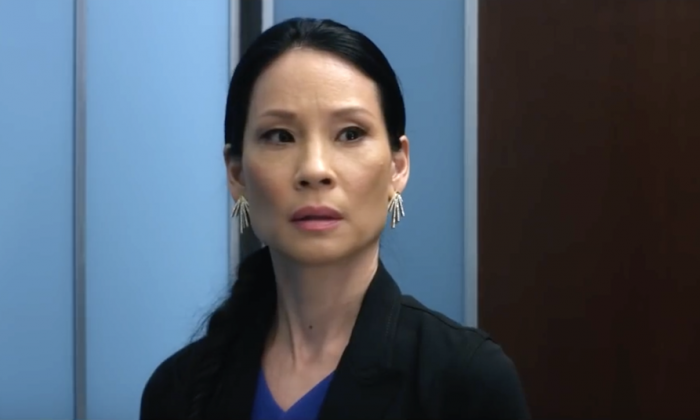 Lucy Liu is starring with Taye Diggs in Set It Up. As the weather (finally!) starts to heat up, so does Netflix. The streaming service is starting the summer season off right with some of its best original series, a few fan favorites and highly anticipated films. Since there’s nothing wrong with a rainy summer night spent home, keep these Netflix June 2018 releases on your radar. Netflix releases impressive original series all year, but summer seems to be when it pulls out the heaviest hitters. June is kicking off with a proper series ending to the wildly popular Sense8. Don’t miss the series finale episode (June 8). Marvel fans rejoice! Favorite Marvel Defender Luke Cage is coming back with season 2 (June 22). A certain colorful original usually premieres in June, but this year, executive producer Jenji Kohan is choosing to GLOW first (June 29). Her newest series is premiering its second season before Orange is the New Black this year. Once upon a time not so long ago, Netflix only featured shows from other networks. Of course that’s no longer the case, but some network favorites still appear on Netflix at the end of their regular seasons. This month that includes season 3 of The CW’s Supergirl (TBD). Expect ABC shows like season 5 of Marvel’s Agents of SHIELD (June 17) and season 3 of Quantico (TBD) starring Priyanka Chopra. On the TGIT front, Grey’s Anatomy season 14 (TBD) will soon be available. It’s sadly the final one for Long Island native and fan favorite Sarah Drew, who plays April Kepner. She’s exiting the season along with another fan favorite, Jessica Capshaw, who plays Arizona Robbins, because of a creative decision. The season is worth watching, if only to say goodbye to them. June is an uncharacteristically light month for documentaries on the streaming platform. Nonetheless, the one release is an important one. The docuseries November 13 (June 1) will feature survivors and first responders of the November 13, 2015 Paris attacks sharing their stories. Summer movie nights are the best kind, and Netflix knows it. Some great releases are coming including Alex Strangelove (June 8). Indiewire described the film as “a cross between Love, Simon and Superbad.” Prepare to laugh with the David Spade comedy, Graduates (June 29). Lucy Liu and Taye Diggs also team up for Set It Up (June 15). They play demanding bosses whose assistants (Zoey Deutch & Glen Powell) plan to set them up to make their workdays a little more tolerable.